From consumer wellness apps to clinical decision-making tools to care operations, digital technologies are transforming today’s healthcare landscape. With guidance from clinical and industry experts, students participating in Cornell Tech’s Product Studio program have pioneered innovative new products to support patients, healthcare providers, and people with disabilities. Memorial Sloan Kettering Cancer Center asked: How might we free clinicians from computer workstations, allowing them to focus directly on their patients during clinical encounters? The team started by learning as much as they could from as many people as possible in the healthcare industry about the problems providers faced in the exam room. They also researched the kinds of solutions already being explored to address those problems. 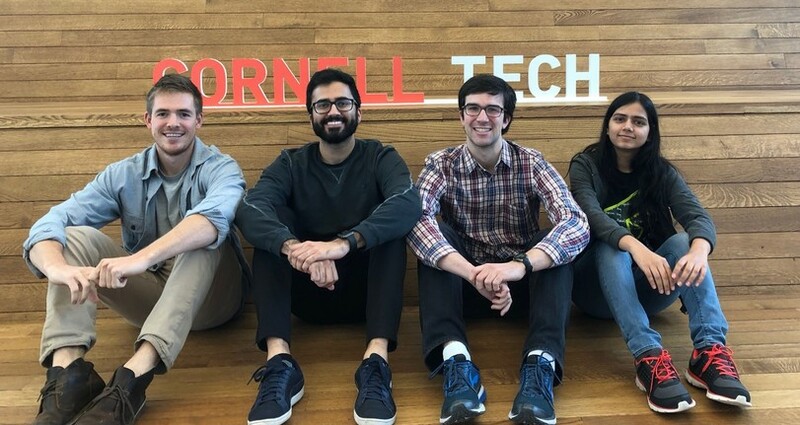 Ultimately the team, which also included Benjamin Yellin, Technion-Cornell Dual Master’s Degrees in Health Tech ’20, and Kriti Shah, Johnson Cornell Tech MBA ’19, developed an efficient new voice assistant, similar to Alexa or Google Home. With the aid of this tool, providers can easily order a test for a patient by saying, “Order a test for Patient X,” rather than interrupting the conversation to navigate various screens on their computer workstations. “We met with her many, many times to make sure we were on the right track and to pivot when we ran into some roadblocks,” said Yellin. Microsoft asked: How might we use technology to help people with disabilities perform everyday tasks? 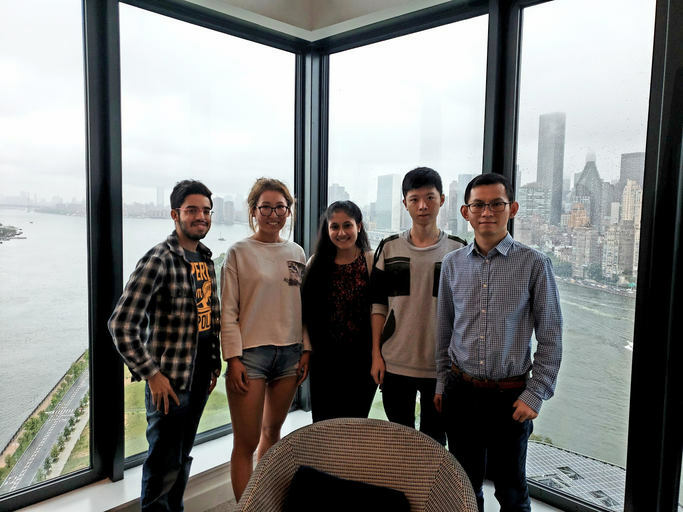 As the team from Cornell Tech began thinking about this question, Nabeel Seedat, Master in Electrical and Computer Engineering ’19, said, “We all had an association of people that we knew that had visual disabilities, and we felt that this was something that, as a team, we were all passionate about.” Based on this experience and with assistance from their advisors at Microsoft, the team from Cornell Tech decided to focus on developing a solution for people with visual impairment. That insight led them to tackle the problem of social media engagement, which poses a particular challenge to people with visual disabilities, given the prevalence of image-based content. They were inspired to develop a web browser extension for people with visual disabilities to use when browsing social media sites. The browser extension “translates” images surrounded by text into a brief description that captures the post’s meaning, not just its literal content. For example, it would translate a photo of a toddler with chocolate smeared all over her face and the caption, “Enjoying her food!” as something like, “Child making a mess with her food” rather than “Child eating food.” This allows people with impaired vision to better understand and meaningfully interact with posts.